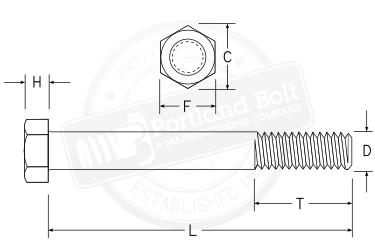 Hex bolts are a commonly used fastener in the marine construction industry. Used in dock construction, fendering systems, cleats, and sometimes as an anchor bolt for bollards. They are typically hot-dip galvanized or stainless steel due to the corrosive environment in which they are used.